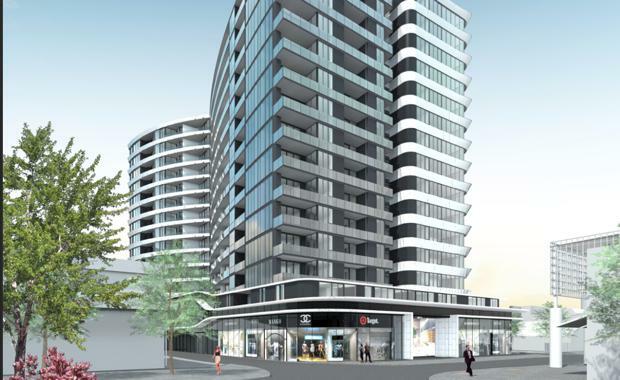 Glen Waverley's Galleria’ apartment project has sold over 100 apartments in 90 minutes over the opening weekend, achieving more than $70 million in sales. Developed by Australia Nan Xin and architecturally designed by Plus Architecture – whom also designed the interiors – Galleria features 267 apartments at 52 O'Sulilvan Road, Glen Waverley. Prospective buyers were asked to pay $2,500 to secure an apartment. Project manager, Pomeroy Pacific reported contracts had been signed on 58 of the Galleria apartments by 9am and by 10am, 107 apartments had sold stickers. “We knew that the luxurious style and South Yarra feel of Galleria would be a draw card for potential buyers so were not surprised with the weekend’s impressive turn out," said Senior Development Manager Luke O'Grady. “Buyers were looking for that feeling of opulence and inner-city living offered by Galleria, combined with access to the excellent amenities including transport, retail, health and education facilities that are found in the Glen Waverley area. "Plus Architecture’s Senior Interior Designer Narelle Cuthbert said the vision behind Galleria’s design was to bring an element of South Yarra to Glen Waverley providing the same level of luxury and style. “Our goal with Galleria was to accentuate light and dark tones and allow residents a choice of colour schemes, ensuring each apartment breathed luxury in every way through the clever use of opulent interior details such as antique bronze or rose gold accents," she said. “The antique bronze details and luxurious dark flooring throughout the interiors, along with the unique aesthetic of duck-egg blue tiles and feature rose gold grouting to the bathrooms, help reference the building’s sense of high fashion, with metallic finishes adding a modern twist. “Galleria’s interiors embrace leading-edge technology and lavish style, providing incomparable apartment living for the Glen Waverley area."